Our friend Nakita Rowell-Stevens is a writing coach from The Word Stylist and will be presenting at the Agile Writer Conference January 26th. Click on the image below to learn more about the conference. In the meantime, she’s offered this article from her website to help you. How do you build a house? Brick by brick, right? And, what is the most critical component of building that house? Don’t worry, you don’t need to be a home builder or architect to get the right answer here. It’s your foundation! I love using this analogy because it is a perfect metaphor to everything in our lives. Without a sturdy foundation, nothing lasts – your home, your relationships, your content. The foundation of your content should begin with your story. Have you ever seen the animated movie, “Rise of the Guardians”? I love movies! Jack Frost struggled to find his center throughout the course of his movie. There is a scene where he is having a conversation with Santa Claus to learn what this means. Santa Claus reveals that his center is “wonder.” Everything he does filters through that center. When developing content for your business, your center is your story. Everything should flow through that, building a solid foundation for your content. So, you’re probably wondering why your story is your center? 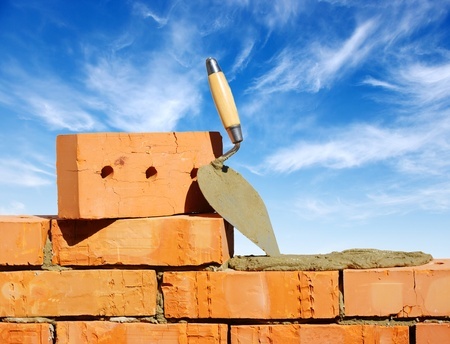 How does it build a foundation for your content? Your story is unique to you. No one else has your story, your journey. It builds transparency and erases barriers to allow your customers to connect with you. I’m not an expert in branding, but what I do know is that your brand should reflect you and who you are. If you’re on the path to discover the brand for your business, look within. It should be reflection of you. If your business and your brand does not embody parts of you, there will always be something missing. Your story reveals the reason why you started your business in the first place. It gives your customers insight into your journey and why you are a credible resource to help them. If you’ve noticed changes in the marketplace in the last 20 years, you realize that people rarely filter buying decisions based on just cost and products anymore; relationship, engagement and service are primary components used to dictate buying. They need to feel that you are a good choice for their needs; it’s not a transactional decision. Revealing your story and integrating it throughout your content marketing puts your future customers at ease doing business with you. Have you ever wondered why Facebook live has become increasingly popular across social media channels? It’s because of its raw depiction of the real you. There are no filters, editing and sometimes, yes, no makeup! The transparency of this platform takes you off a pedestal with your customers. Don’t get me wrong, you are still respected as an expert, but your customers see you as ‘just like them’, making you relatable. The rest of your content that you develop for your business – your website, blog, social media, email, etc. – should reflect some level of this transparency. This does not mean that you need to tell your life story in all your content – just pieces of it. I’ll share more on how to do this in a later post. In the meantime, I want you to look at all of your content and make sure you have a solid foundation. When you look across your different content platforms, do you see a theme? Does that theme trace back to your story? As you walk through this process, I want to hear what you find. Share your comments here. We all have special stories to tell. Don’t leave them on the shelf.